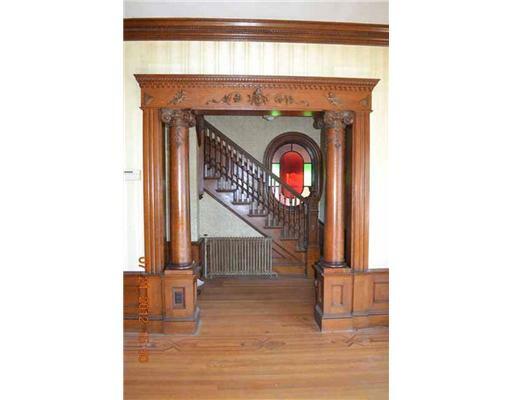 Lovely old sea captains home with great wood work and trim in two rooms. Needs alot of work, but has great potential! wow to the woodwork that’s left inside! 603. JONESPORT – This is a unique building. Located in the center of Town on .30+/- of an acre it was the Arnold Memorial Medical Center. The building contains over 2400 square feet, a new hot water system was installed in 2006 and a new septic system was installed in 2005. 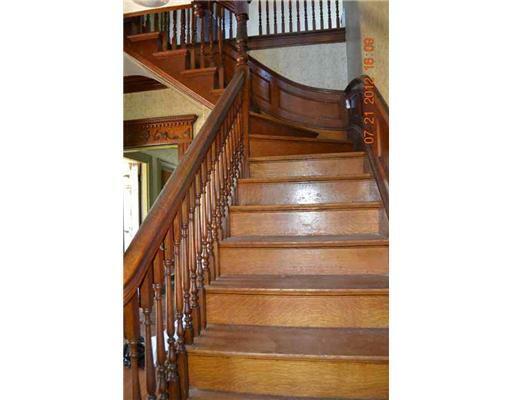 The woodwork in the original part of the building is mostly handcrafted and the staircase is intact. The previous owner was converting the building into a bed and breakfast. This property is worth much more than the asking price. The owner is a motivated seller. Do not let this get by you without at least looking. $165,000. Looks like a project, but a real bargain if you want a summer place Down East. 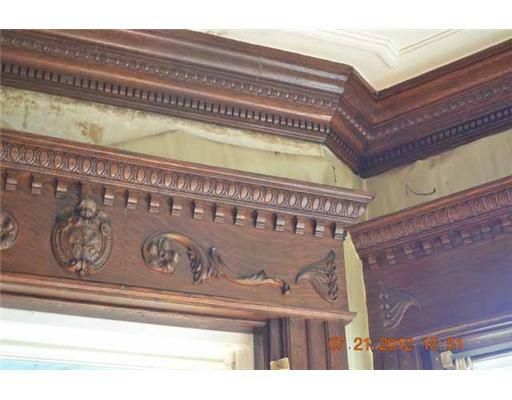 Wow, take a look at that mantel! Awesome, thanks for finding the extra pics. In looking at this one I expected a rather modest interior in keeping with the simple exterior. I’m happy to say I was dead wrong. At least the public rooms downstairs have the wow factor in abundance. 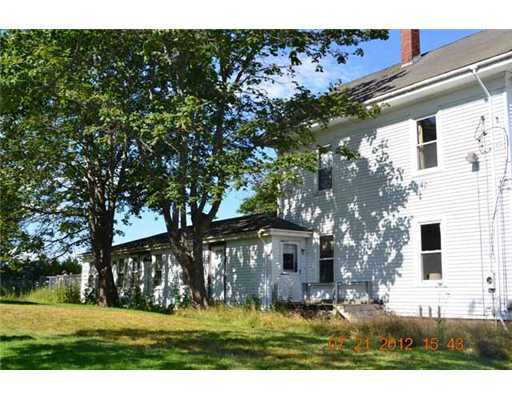 While I don’t think I could handle Maine winters, this is a very nice house priced almost at a give-away price. 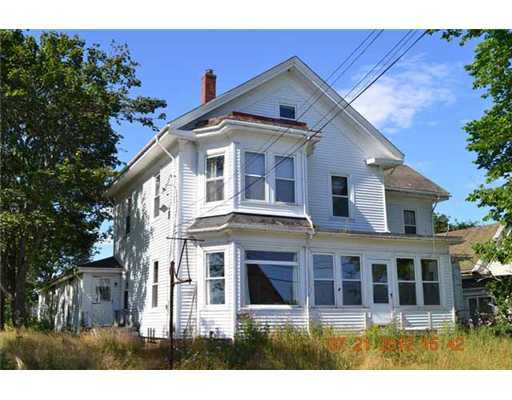 I have to agree with Jim: if you’re looking for the best old house value and can tolerate Maine in the winter (or strictly use it as a summer cottage and have a caretaker-renter during the winters) it would be difficult to find something better at anywhere near this bottom bargain price. 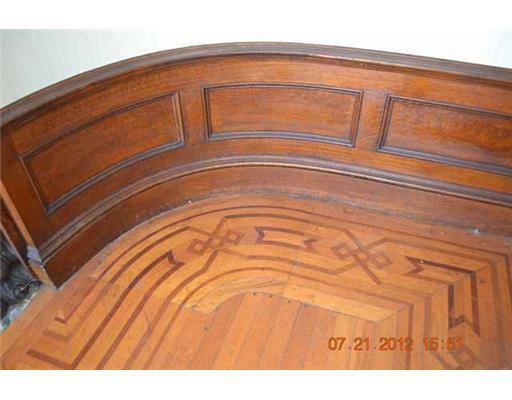 I absolutely love the woodwork! John, since they couldn’t sell this for near $165K, a fair price for a livable house in the area, I have to guess that some substantial work is required here. The comment “owner was converting the building”, combined with unseen bedrooms and kitchen, suggests those rooms have been gutted, so it may take $75K or so just to make this place livable. 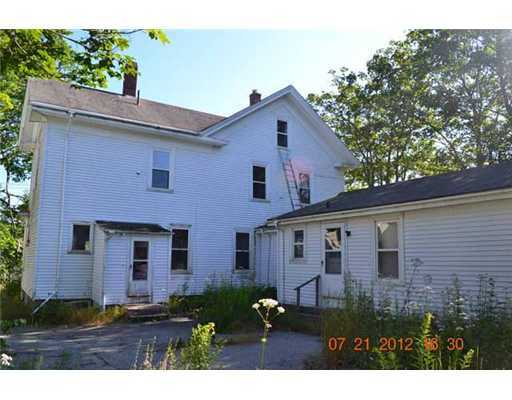 Still one could possibly have a wonderful old place in the middle of a quaint little seacoast town for less than $150K. Gotta love that gargoyle above the fireplace. Many, many years ago, my father would get summer work at Bowdoin College in Brunswick, Maine. He’d pack the whole lot of us up, and we would drive from Mobile, Alabama, to Maine for the summer. I remember falling in love with the Maine coast, and marveling that it was cold somewhere in this world in June — I had never been cold in June. The town I like the most was Bath, which we had to pass through from Brunswick to George, Maine, where the College had found a summer rental for us right on the Kennebeck River. I can’t find George on a map, but I’m not surprised: it had a one-room store (pickle barrel on the porch) and a one-room post office — and that was all there was to it. So, I did a search on houses for sale in Bath — unbelievable. As a child, I was convinced that you had to be a millionaire to afford one of those houses. However, they are quite numerous now for sale and very affordable. Have a look at Bath, Maine, and all those glorious houses. They don’t even mention what would be (for me at least) two major selling points. First, it’s right next door to the library, and second, it’s right across from the bay….although it appears that there is a new building across the street – possibly a garage – which probably blocks some of the water view now, at least from the first floor. I contacted the realtor for more information about this lovely place…and he confirmed that most of the rooms are gutted to the studs and all systems need to be updated (electrical, plumbing, heating, etc). He also said the kitchen and the bathrooms are not working, but whether that means they are gutted or simply not plumbed or updated, I don’t know. Thanks for the info. It’s usually what the listing leaves out that turns out to be important. 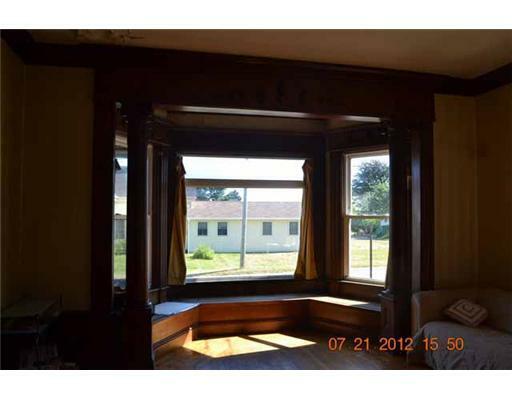 It’s understandable why nobody would buy the place for $165K, but it might be a great deal at $30K esp. if someone can do the work themselves. According to Homepath this lovely home is no longer available. When I was ‘home’ to Jonesport this summer, my sister told me that the Peabody Memorial Library bought it !! Do you know what they intend to do with it? Does any one know what the property taxes are? I don’t know but it’s already sold. A couple years ago, the taxes were in excess of 2,000 and by now are probably substantially more. I don’t know if Peabody Memorial Library will have to pay real estate taxes or not, probably not. Rumor is that the library will use it for the time being for storage and later expansion. Very sad indeed. The opulent period details inside were justification enough to renovate this fine home but someone obviously thought otherwise. I hope at least the architectural elements inside were salvaged; if not, that only compounds the loss. It’s hard to accept that in the 21st century people are still allowing fine old homes from the 19th century to be lost. Everything that went into these homes is part of a long ago faded architectural legacy of high quality materials combined with fine craftsmanship. In the streetview, it looks like the faded house that was next door is not going to be around much longer either. Because it was demolished after that. Read my comment above with the other street view link.